Prabhu has called for working with all stakeholders for their well being. New Delhi: Civil Aviation Minister Suresh Prabhu has called for a review of issues related to struggling Jet Airways, including rising fares and flight cancellations. Prabhu has also asked Civil Aviation Secretary Pradeep Singh Kharola to take necessary steps to protect the rights and safety of passengers. Jet Airways is grappling with acute financial crunch and is operating less than 10 planes besides temporarily suspending international operations. "Directed Secretary @MoCA GoI to review issues related to Jet Airways, especially increasing fares, flight cancellations etc," Prabhu said in a tweet on Tuesday. The airline's board is meeting in Mumbai on Tuesday. In afternoon trade, shares of the airline declined 3.59 per cent to Rs 252.40 apiece on the BSE. Jet Airways is operating around seven planes, including six turbo propelled ones used for shorter hauls. It had 123 aircraft in operation in December. "As you are aware, we have been working with the lenders to secure interim funding for our operations. 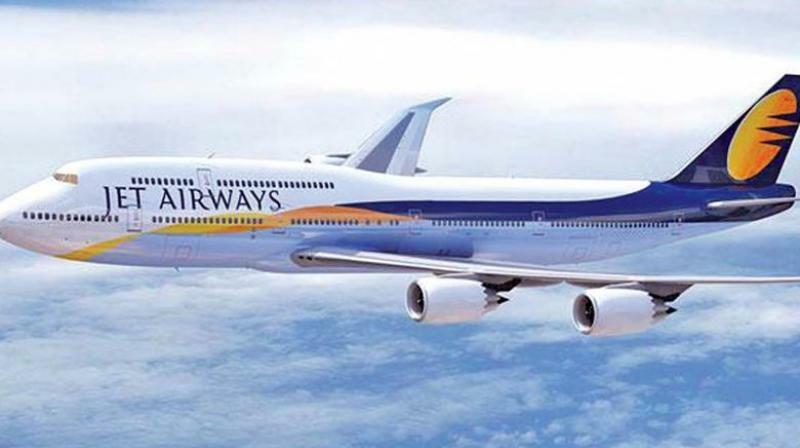 The interim funding has not been forthcoming thus far, and as a result we have extended cancellation of international operations until April 18," the airline's CEO Vinay Dube said in an internal communication on Monday.